Taking pictures of flowers is not all that different from taking pictures of food. In fact many of the same principles are involved. With spring flowers in full bloom, I suggest experimenting with taking beautiful pictures of the flowers around you. In fact, when I first got into photography, flowers were what I enjoyed taking pictures of the most. In the Spring of 2007, I was in my junior year at the University of Wisconsin. I had just retired from my swimming career and found myself with 30 or so extra hours a week on my hands. I wasn’t going to fill that void with additional studying hours, so that is when I picked up a camera and started to fall in love with photography. During that Spring and Summer, I would spend hours wandering UW’s campus and the botanical gardens taking pictures of flowers. At the time, I had no idea this would one day lead to a career in taking pictures of food, but there was something intriguing to me about finding that perfect flower. At the same time, I was learning more about Photoshop and was pretty proud of my ability to remove backgrounds and replace them with black. I hadn’t learned about the pen tool and pathing yet, so I was doing it the old fashioned way of just using the eraser tool. So here is a collage of the original pictures I was so infatuated with creating. At the time, my roommates didn’t quite know what to think about my flowers with black backgrounds. Even though we don’t live together anymore, they will still ask about them (Nick, Tommy, Dan, and Brett, these pictures are dedicated to you) and if I will one day continue the series. I have no plans to start up the back backgrounds again, but I have found myself taking lots of flower pictures. 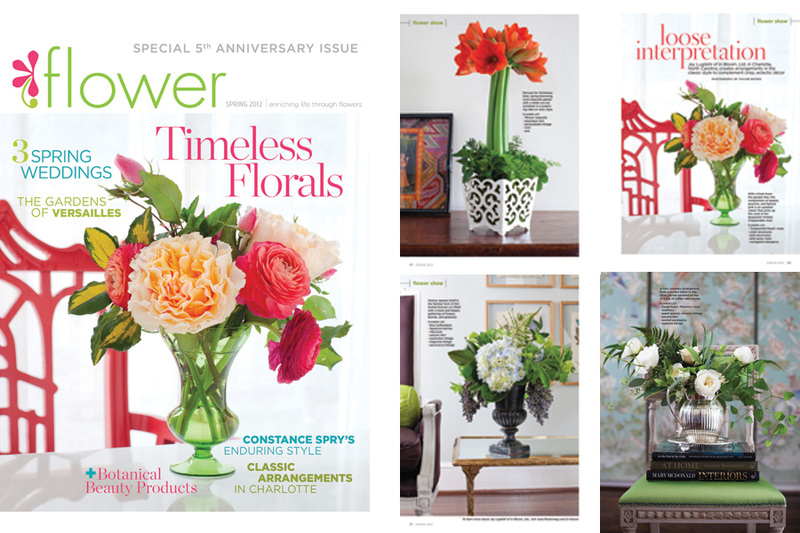 This past fall, I shot the cover and a feature for the Spring Issue of Flower Magazine. 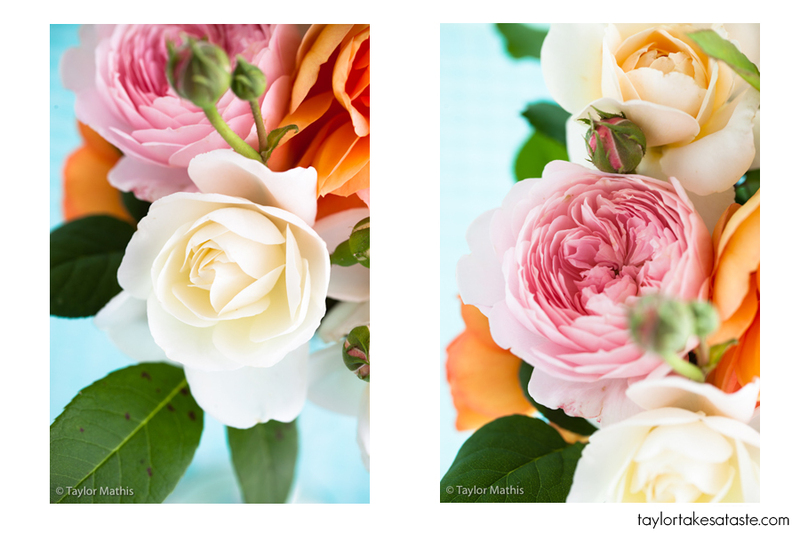 and last year I shared with you the roses in my Mom’s garden (roses post 1, roses post 2). It has reached that time of year where the roses are beginning to bloom all over! In the next couple weeks, you will be seeing plenty more flowers from the garden. 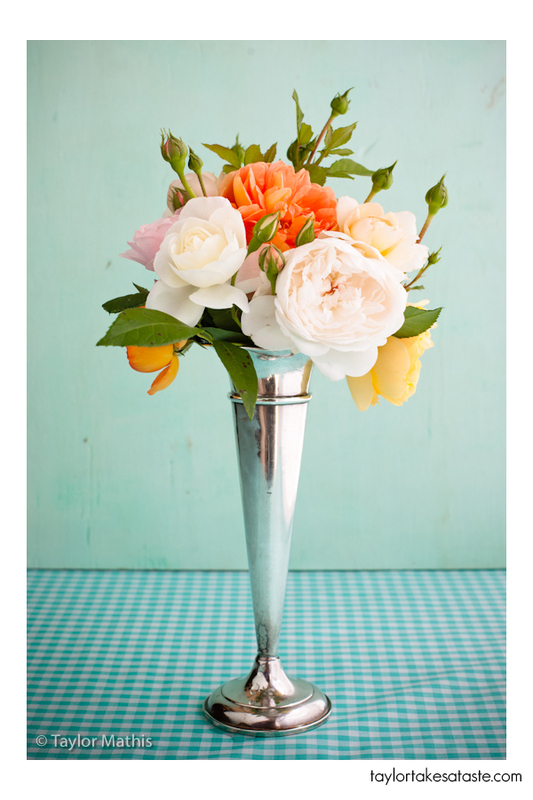 If you have never taken pictures of your flower arrangements, don’t fear. It really isn’t that difficult. 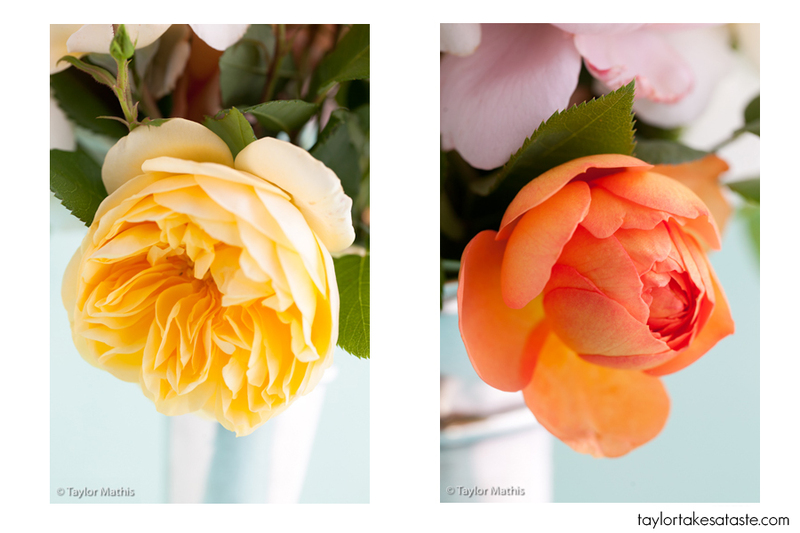 Many of the same principles that I talk about in my food photography tutorials apply to taking pictures of flowers. Find great light. If you are shooting a bouquet in your house, find a part of the house that has beautiful natural light. 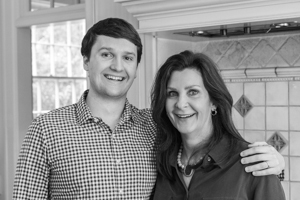 Don’t use your overhead kitchen lighting. 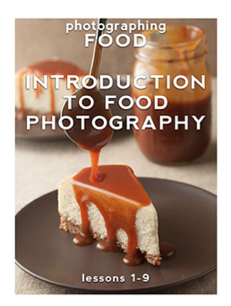 Use the same place that you take pictures of your food in. Use colors as backgrounds that will make the colors pop! 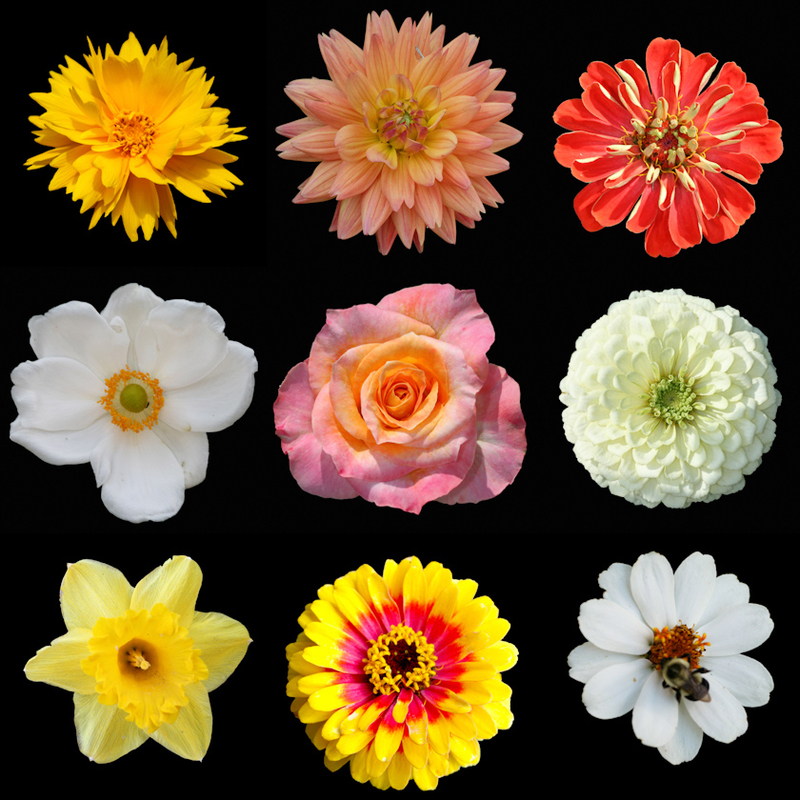 Stay away from using colors that are similar to the flowers. Pick complementary colors. Shoot vertical. If you are shooting arrangements that are tall in height, shoot in a vertical orientation. Go to a park. Take a trip to a neighborhood park and see what is in bloom where you live. Enjoy spring and enjoy taking pictures of flowers! Great photos, as always! I, too, used to use the eraser trick to try to get rid of backgrounds in photos…but that was back when I had a handmade jewelry business, and I was trying to get clean shots of my jewelry. It didn’t work so hot with my wee point and shoot and terrible apartment lighting. lol. Anywho, I actually used to use flowers as props in my jewelry photos! Absolutely beautiful Taylor! I love these shots. Congrats on the magazine shoot – so awesome!